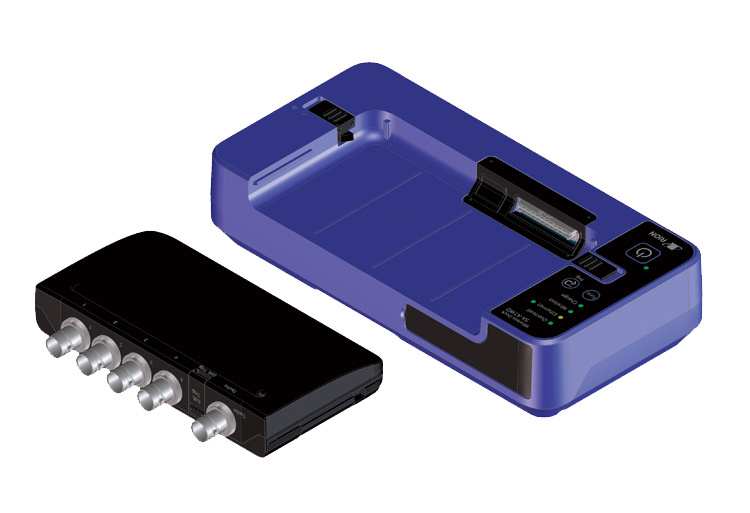 The RIONOTE is portable multi-channel sound and vibration analyzer from Rion. RIONOTE consists of a main control unit, the SA-01, which can be configured up to 16 channels for optional wireless measurements. 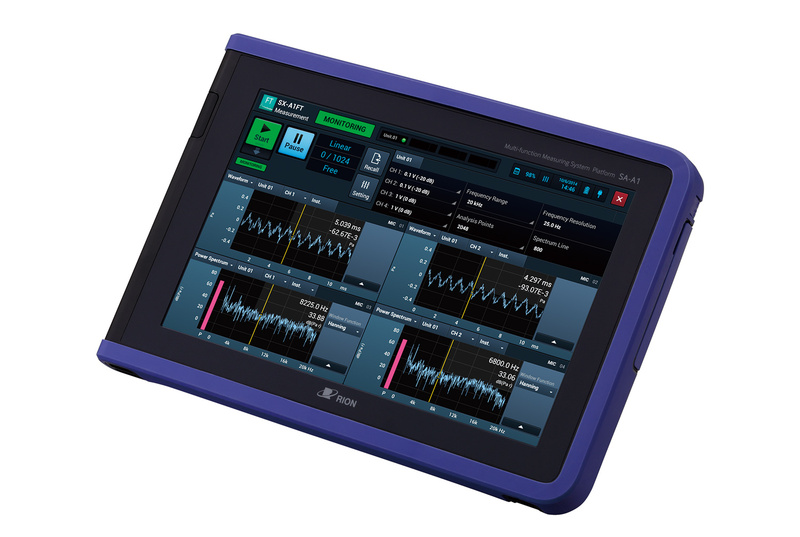 Featuring a large color touch screen and dedicated software, the SA-01 becomes and intuitive, portable and a multi-functional measurement and analysis device. This program provides real time analysis of noise or vibration levels using either 1/1 or 1/3 octave bands. Processing values include time weighted sound pressure level Lp, averaged level Leq, maximum level Lmax, sound exposure level LE, minimum level Lmin and time percentile level LN (5, 10, 50, 90, 95, 33.3) with maximum 5 values. 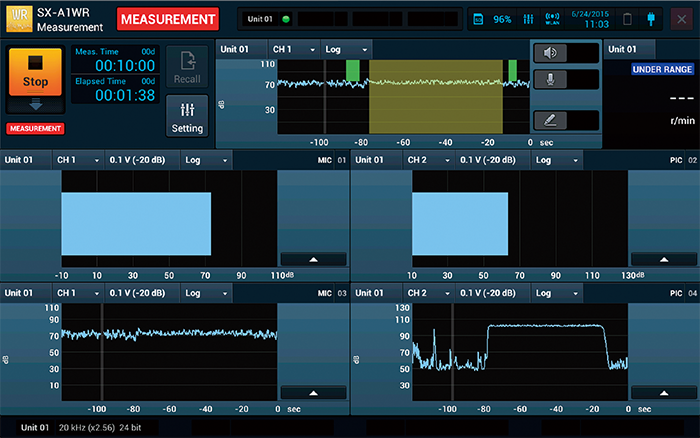 The waveform recording program allows to display and record the time waveform of the incoming signal(s). Available recording time depends on the number of input channels and the selected frequency range. Recorded data is saved in the waveform format (.wav). used for advanced post-analysis software compatible with the WAVE format such as Rion’s AS-70 software. 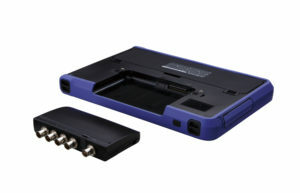 Recorded files can be used for advanced post-analysis using the FFT Analysis program or software compatible with the WAVE format such as Rion’s AS-70 software. 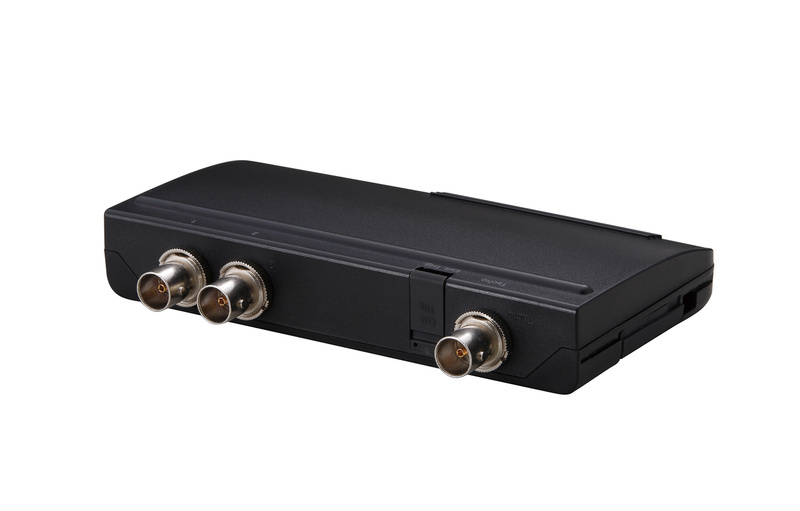 This programs enables FFT analysis on multiple channels simultaneously. 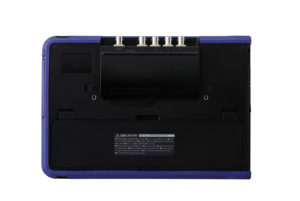 The results are shown in clear graphs on the large color screen, in real time, or from stored data when using the recall function. 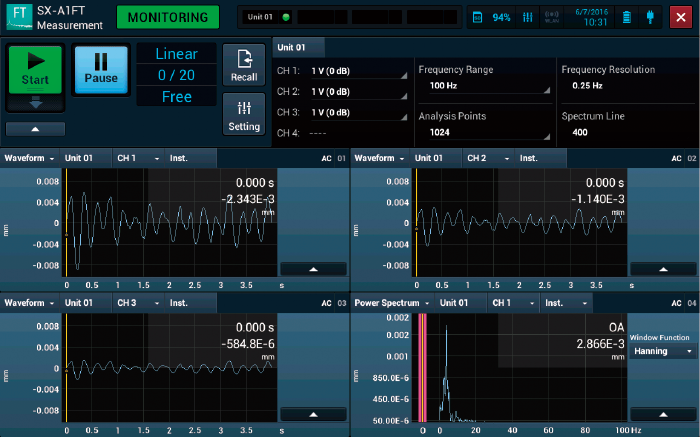 A marker allows you to scroll through the data, and enables the readout of the level of a frequency of interest. The transfer function represents the relation between an input signal and output signal in the frequency domain, allowing the determination of amplitude and phase. In this mathematical calculation category, the RIONOTE supports coherence functions and cross spectrum processing. 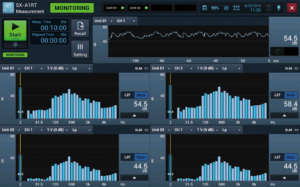 The order tracking program can simultaneously record rotational speed (rpm) data along with sound and vibration waveform data and perform automatic order tracking analysis based on these data. This analysis makes it possible to assess the sound or vibration state corresponding to the change in rotational speed, in order to determine the causes of resonance. 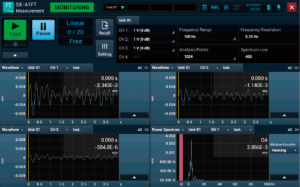 Because the recorded waveform data are saved, it is also possible to change the frequency resolution or other parameters later and perform multiple analysis runs for comparative evaluation. The SA-A1 File Converter is a Windows application used to convert the data saved by RIONOTE programs such as the SX-A1FT and SXA1RT programs to a text file in a required format. Files and project folders can be added individually and multiple files or folders can be added collectively by a drag and drop operation. The saved text files can be imported using a text editor or Excel.